I’m still in my jammies even though it’s a bit after lunch. That may not be your idea of hard at work, but I had a full day of webinars on my schedule. They started at eight this morning and run almost all day. Webinars are a wonderful idea for busy people. Especially antisocial, busy people like me. 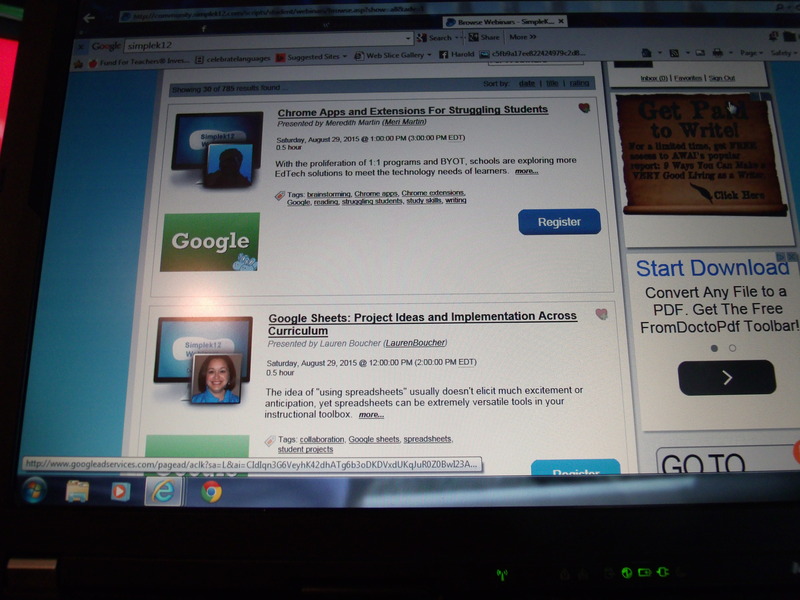 Today’s focus is how to maximize Google for teaching. I do a lot with Google already, but there’s always more to learn. The best thing about these classes—they are free! If I want to purchase a membership, I can even print a certificate for each webinar I attend. So far, I’ve just signed up with the free option, but it might be worth upgrading later.